This is especially important when it comes to chipping big logs and branches. PTO chipper shredders can handle branches up to four times larger than regular gas-powered chippers can. Learning about the features that make these machines so powerful can help you choose the right one for to jobs you need to do. A PTO chipper with no shredder is the more common style. It contains a large flywheel with a blade or multiple blades. As the flywheel gains momentum, it decreases its power demand on your tractor, placing less stress on your engine's components. PTO chippers without shredders are great for reducing large limbs, branches, and some small trees into uniformly-sized chips that can be used for garden beds and walkways. They're designed for dense wood and branches at least three inches in diameter. 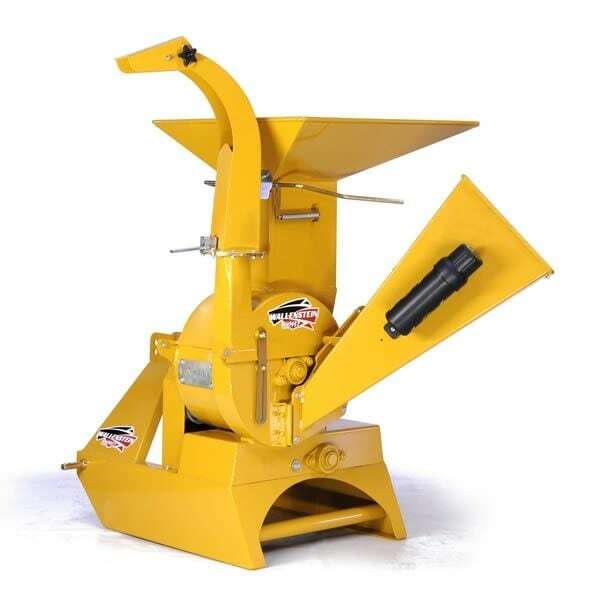 A PTO chipper shredder offers all of the wood-chipping power of a no-shredder model, but it also has a vertically-positioned shredder hopper at the top of the machine. The hopper pulls much smaller yard debris (about one inch in diameter) toward the shredding knives, which tear them into a fine mulch. PTO chippers are built to handle the rugged demands of rural living. As a result, they're equipped with a heavy-duty, high-carbon steel flywheel to grind wood. The flywheel on a PTO chipper or chipper shredder can weigh as much as 185 pounds and is built with dependability in mind. With a component that heavy in place, burly PTO chippers can handle much larger logs than their consumer-grade counterparts. They can even shred logs up to eight inches in diameter. If your branches are especially large, look for a PTO chipper with a heavier flywheel. PTO chippers feature automatic roller feeds, which not only make chipping easier but also make your experience much safer. 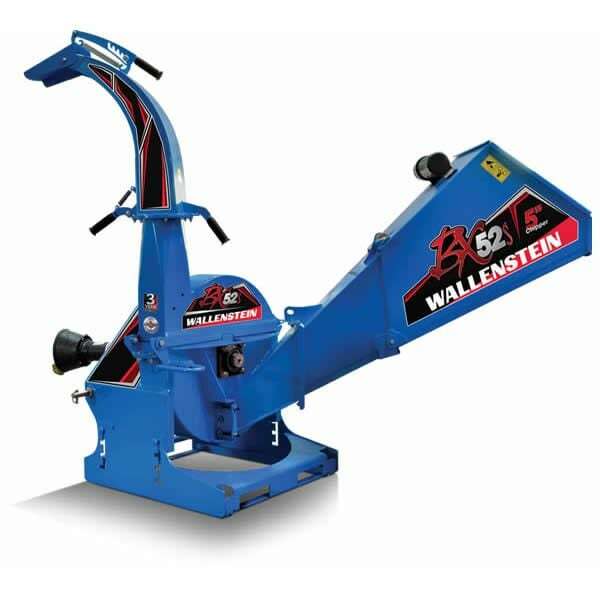 Instead of forcing branches and tree limbs into the chipper shredder, you can let the automatic rollers do the dirty work. A series of rollers helps push material down the hopper toward the rotor drum and the blades. All you need to do is put material into the chipper shredder opening. The machine does the rest. To power these big units, you're going to need a capable tractor. In most cases, you will need a tractor with at least a 16 horsepower engine. Although some lawn tractors have engines with 16 HP or more, lawn tractors are not capable of powering a PTO chipper. The other consideration is what type of hitch your tractor is equipped with. You will need either a Category 1 hitch (designed for tractors under 50 HP) or a Category 2 hitch (designed for tractors between 50 and 150 HP). Check your tractor's product manual to determine which kind of hitch your tractor uses. PTO Chipper Buyer's Guide.. Our Power Equipment Direct how-to library can help you learn about A Guide to Power Carts and Wheelbarrows, Proposition 65 Product Labeling and Sales Tax Information.